Although the words “holy trinity” are not found in the Bible, the Bible both Old and New Testaments – clearly refers to the one God as a tri-unity – Father, Son, and Holy Spirit. The term “trinity” is a contraction of “tri” (meaning three), and “unity” (meaning one): “tri” + “unity” = “trinity“. Simply put, the Holy Trinity is one God in three persons who each share the same essence of deity. God is the absolute compound unity of Father, Son and Holy Spirit – three persons in one divine essence. Three persons who share one divine nature. Think of a triangle – it has three corners, but it is still one triangle. What the Holy Trinity is Not! It is not three Gods, or three modes of one God, or three essences. God is also not three separate physical beings. The Trinity is not the Father, Mary and Jesus. Why Do Christians Believe in the Holy Trinity? Simply put, because the Bible teaches it. Throughput the Bible, both Old and New Testaments, God refers to Himself in both singular and plural terms. In addition, the Father is referred to as God, the Son as God, and the Holy Spirit as God. Furthermore, the three personalities of the Godhead – Father, Son and Spirit, each conduct particular activities which are characteristic of their personality. Finally, they are all unified in absolute communion from all eternity as the one God. So the Holy Trinity is one God, and yet three persons sharing one divine nature. Jesus, as the eternal Word of God, has shared n the Father’s divine nature before time began. But when He entered time, space and matter, and, became flesh, He added a human nature to His existence. He did not cease being God – He simply added a human nature. 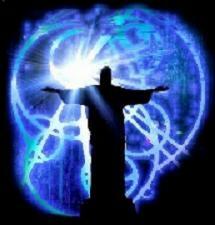 Thus Jesus is one person of the Godhead, but with two natures – a human nature, and a divine nature. Realizing that Jesus actually had two natures helps us understand and better appreciate how only Jesus could bridge the gap between the Creator God and His Creation. For example, did Jesus know all things (as God would)? As God, yes; as man, no. Did Jesus get hungry? As God, no; as man, yes. Did He know the time of His second coming? As God, of course; as man, no. Understanding the Holy Trinity also helps us understand why Jesus subordinated Himself to the Father, saying “The Father is greater than I.” The Father and Son are equal in essence, but different in function. Much like human relationships, a father and son both share a human essence, but the father holds a higher office. The same hold true with the Holy Spirit – He too shares in the same divine essence, but differs in function. 1 The Spirit is referred to both as God, and as a person in Scripture. 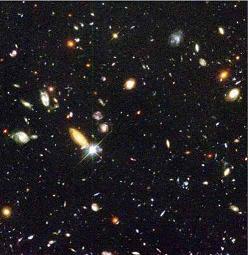 He was also there at the beginning of creation (“and the Spirit hovered over the face of the waters”). As does any person, He makes choices, directs followers, and is grieved as well when His children go astray. Genesis 1 refers to the Father, verse 2 the Spirit, and verse 3 the Son, as the eternal Word of God speaking light into existence. Gen 1:26: “Then God said, “Let Us [plural] make man in Our image, according to Our likeness...”. In verse 26, God refers to Himself in the plural form; while in verse 27, immediately following, He refers to Himself in the singular form! Isaiah 48:16 “Come near to Me, hear this: I have not spoken in secret from the beginning; from the time that it was, I was there. And now the Lord God and His Spirit have sent Me.” In this instance the pre-incarnate Son of God is speaking, indicating that He will go on behalf of the Father and the Spirit and redeem God’s creation. Verse 24 described how the Son (LORD) while on the earth, rained brimstone and fire from the Father (LORD) out of the heavens. Here we have the Father, looking down approvingly at His beloved Son, while the Spirit descends and rests upon Him. We are not baptizing in multiple names, but ONE NAME. There is but one God and Lord to baptize in the name of. But we are also to baptize in the one name of the three-person Lord – Father, Son and Spirit. Mark 14:61-64: “Again the high priest asked Him, saying to Him, ‘Are you the Christ, the Son of the Blessed?’ And Jesus said, ‘I am. And you will see the Son of Man sitting at the right hand of Power, and coming with the clouds of heaven.’ Then the high priest tore his clothes..”. Here Jesus answers a direct question with a direct answer: “I am.” (note this also happens to be the name God gives to Himself, the great “I am”, the eternal, self-existent One). Why did the high priest tear his clothes? 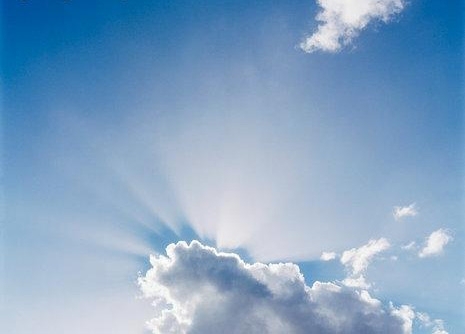 Because he knew that Jesus was claiming to be the same ‘Son of Man’ that was described in Daniel 7:13, who would come with ‘the clouds of heaven’ and be given dominion over all the earth by God the Father (the ‘Ancient of Days’). John 8:56 “Your father Abraham rejoiced to see My day, and he saw it and was glad.” The the Jews said to Him, “You are not yet fifty years old, and have You seen Abraham? Jesus said to them, ‘Most assuredly I say to you, before Abraham was, I AM.‘ Then they took up stones to throw at Him …” In this passage Jesus plainly claims to be the same eternal, self-existent God that spoke to Moses out of burning bush – the great ‘I AM.” They took up stones to throw at Him because they immediately recognized His claim. John 10:38 “...the Father is in Me, and I in Him.” The Father and the Share the same divine nature. 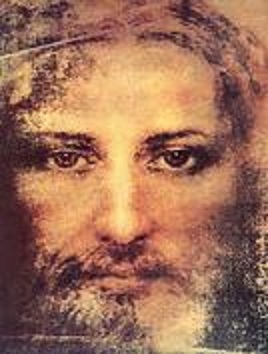 John 12:45 “.. he who sees Me sees Him who sent Me.” Here Jesus emphasizes His nature as the express image of the invisible God. John 1:1, 14: “In the beginning was the Word, and the Word was with God, and the Word was God...and the Word became flesh, and dwelt among us..”” Here we note that Jesus was existent with God the Father “in the beginning”, and that at a moment in history chosen by God, He took on flesh and became a man, and dwelt among His creation. Hebrews 1:3 “God, who at various times and in different ways spoke in times past to the fathers by the prophets, has in these last days spoken to us by His Son, whom He has appointed heir of all things, through whom also He made the worlds; who being the brightness of His glory and the express image of His person…” Here Jesus is referred to by the apostle as the very image of God. Hebrews 1:8: “But to the Son [Jesus] He [God] says: ‘Your throne, O God, is forever and ever; A scepter of righteous is the scepter of Your Kingdom.” God the Father is recognizing that Jesus is God, and King of Kings. Acts 20:28 “Therefore, take heed to yourselves and to all the flock, among which the Holy Spirit has made you overseers, to shepherd the church of God which He purchased with His own blood.” Here we have the Holy Spirit acting as a person, appointing overseers to guide the church which He (God in Christ) purchased with His own blood. Romans 8:11: “But if the Spirit of Him that raised up Jesus from the dead dwell in you, he that raised up Christ from the dead shall also quicken your mortal bodies by his Spirit that dwells in you.” Here Paul describes how the Spirit of God the Father raised Jesus up from the dead; and that how likewise, His Spirit will also give life [spiritual life] to our mortal bodies. 1 Cor 3:16 ““Do you not know that you are the temple of God and that the Spirit of God dwells in you?” In this passage it is clear that we are the temple of God, and that He dwells in us through His Holy Spirit. Romans 11:36: “For of Him, and through Him, and to Him, [are] all things: to whom [be] glory for ever. Amen.” Here Paul is administering a blessing on his readers, and he exalts the three-person Lord when doing this: for of Him (the Spirit) all are things, and through Him (Jesus) all things came into being and are sustained, and to Him (the Father) all things will eventually meet their destiny at the end of time. He is giving glory to the one God in three persons – Father, Son and Spirit. Here we see three complimentary aspects of God: our Lord Jesus, the second person of the Godhead, has provided us all with unmerited “grace”, by giving His life on the cross as a “ransom” for us – so that we can now enter into eternal life if only we choose to do so; how that God the Father loves us so much that He was willing to “give His one and only Son” to die for us; and that because He has given us His Holy Spirit to dwell in our hearts, we can have communion and fellowship with one another. Below is a table of scriptures drawn from both the Old and New Testaments, where we see the Holy Trinity – Father, Son and Spirit – working as God. 1 Cor. 3:16 “Do you not know that .you are the temple of God and that the Spirit of God dwells in you? Isaiah 66:1 “Thus says the LORD, “The heaven is my throne, and the earth is my footstool: where is the house that you build unto me?”Jer 23:34:“Can any hid in secret places that I shall not see him? says the LORD. Do I not fill heaven and earth? says the LORD.” Before the incarnation, Jesus – the eternal Word – was indeed everywhere. Upon entering space and time He willingly limited Himself by assuming a human nature in addition to His divine nature. 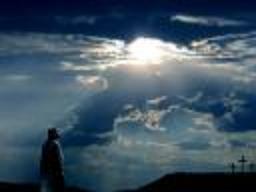 Subsequent to His resurrection, He again is omnipresent, and near when needed ; Matt 28:30“Lo, I am with you always, even to the end of the world.” Psalm 139: 7 “Where can I go from Your Spirit? Or where can I flee from Your Presence?” God’s Sprit is present everywhere. God the Father describes to Job how He created all things, and maintains their own by the power of His will. Jesus displayed an amazing intellect by virtue of His teachings, and had absolute control of His own will. 1 Cor 2:11 “Even so no one knows the things of God except the Spirit of God.” Here it is clear the Spirit is capable of knowing. Below is a table of scriptures drawn from both the Old and New Testaments, where we see the Son and the Spirit sharing certain special characteristics with the Father. Isaiah 42:9 “And new things I declare;Before they spring forth I tell you of them.” Jesus predicted His capture, death and resurrection numerous times.Jesus predicted the destruction of the Temple with amazing accuracy (not one stone was left standing after the Romans took the temple apart stone by stone to retrieve the gold)He also made many other predictions. The people were astounded, because Jesus spoke not as the scribes, but as one having authority(“But I say unto you …”). The Holy Spirit speaks: Acts 8:29“Then the Spirit said to Philip, ‘Go near and overtake this chariot. '” See also Acts 10:19, 11:12, 21:11, 1 Tim 4:1, Heb 3:7. Jesus, the eternal Word of God, was made flesh and dwelt among us for this very reasons – to interact with us, communicate to us and reach each of us on a personal level. The Holy Spirit interacts as a person: He may be lied to (Acts 5:3), tested (Acts 5:9), insulted (Heb. 10:29) or blasphemed (Matt. 12:31). He also leads(Rom. 8:14), convicts(John 16:8),intercedes (Rom. 8:26), calls (Acts 13:2), and commissions (Acts 20:28)…. Only a person can be vexed (Isaiah. 63:10) or grieved (Eph. 4:30). John 14:26 “But the Comforter, which is the Holy Spirit, whom the Father will send in My name, He shall teach you all things. Did the Early Church Believe in the Holy Trinity? Yes! Some maintain that the Holy Trinity was a later invention by the Church, and that the first Christians believed no such thing. We have already seen how the Bible – the Law, the Prophets and the Psalms, present the compound unit of God – Father, Son and Spirit. Let’s consider the evidence: what did the earliest Christian writers have to say? Plenty – the evidence shows that the early 1st – 2nd century church (long before Constantine and the Council of Nicea in 325 AD) believed in a triune God. Ignatius was one of the early “church fathers” – a disciple of the apostles, and bishop of Antioch. Date of writings is estimated to be 105-155 AD. Eusebius (Hist. Eccl. 3.36) places Ignatius’ martyrdom in the reign of Trajan (A.D. 98-117). 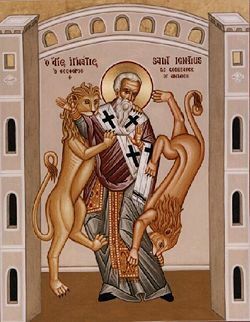 For more about Ignatius: http://en.wikipedia.org/wiki/Ignatius_of_Antioch. Athenagoras of Athens was a philosopher who converted to Christianity in the second century. He wrote his Plea for Christians approximately in 177 CE. To learn more about Athenagoras go to:http://www.earlychristianwritings.com/athenagoras.html. The following is an extract from a letter written to Emperor Marcus Aurelius. 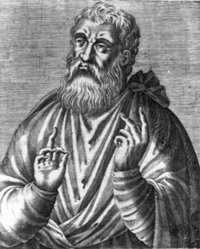 Justin Martyr (Justin the Martyr a.k.a Justin of Caesarea) (100 – 165 AD) was an early Christian apologist. His works represent the earliest surviving Christian apologies of notable size. The following letter is extracted from a letter by Justin Martyr to the Emperor Titus; Justin was providing a defense of the Christian faith to the emperor. It is dated about 155 AD. Read more about Justin:http://en.wikipedia.org/wiki/Justin_Martyr. “.. the Father of the Universe has a Son, who being the Word and First-begotten of God is also divine. Formerly he appeared in the form of fire and the image of a bodiless being to Moses and the other prophets. But now in the time of your dominion he was, as I have said, made man of a virgin according to the will of the Father for the salvation of those who believe in him, and endured contempt and suffering so that by dying and rising again he might conquer death. 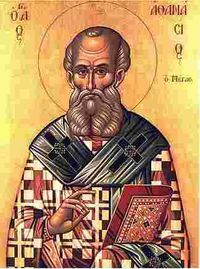 Athanasius of Alexandria (also spelled “Athanasios”) (c.298 – May 2, 373 AD) was a Christian bishop, the Patriarch of Alexandria, in the fourth century. He is revered as a saint by both the Roman Catholic Church and the Eastern Orthodox Church, and regarded as a great leader and doctor of the Church by Protestants. For more on Athanasius please see http://en.wikipedia.org/wiki/Athanasius_of_Alexandria. The Concept of a Trinity is Too Complex! Some say that the Trinity is too complex, not comprehensible to us. We can’t understand how one God could also existing in three Persons. But if we take this position, aren’t we putting God in a box? 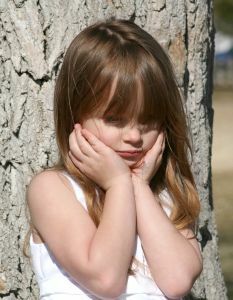 After all, who are we to say what God – the Almighty, the Creator – can and can’t do? The Truth is not always simple. Recall that God says in Isaiah that “my ways are not your ways, neither are my thoughts your thoughts.” So why should we be so presumptuous to think that everything about God – the Creator of the universe of space, time and matter – should be totally comprehensible to us? Quite the contrary, we should NOT be surprised if there are quite a number of things that we do not understand when it comes to the things of our Creator. Yes, it goes beyond our comprehension, but the fact remains: He is a Triune God – one God existing in three persons – Father, Son and Spirit. But God Would Not Beget a Son of God! Many Muslims misconstrue what the Bible is teaching on this point, because they interpret “begotten” in a fleshly, anthropomorphic manner – in the sense of someone literally begetting children. Begetting implies to a Muslim a physical act, and since God is Spirit and has no body, this doesn’t make sense. Besides, claim Muslims, this is beneath God. This would amount to the Uncreated creating another Uncreated – which again doesn’t make sense. These views are reflective of the misunderstandings that many Muslims have about what Christians believe. No Christian that I know of holds that “begat” equates with “made” or “create”. The new Testament clearly records that the power of the Holy Spirit “overshadowed” Mary, such that she conceived. There was no physical act by God involved, but rather a miracle – the virgin birth. Jesus became the “Firstborn” of a new creation, the Head of God’s new family. Also note that the words “only begotten” can also be translated, as the NIV does, as God’s “one and only Son“. It does not imply a creation by the Father, but rather a unique relationship to Him. There is no physical generation, but rather an eternal procession from the Father. So while Muslims believe that the book the Quran is not identical to God, but eternally proceeds from Him, soChristians believe that the Lord Jesus Christ – God’s living “Word” – eternally proceeds from Him. The important point is that Jesus, the Son of God, was not created, but always eternal. To quote John 1: “In the beginning was the Word … and the Word became flesh, and dwelt among us”. In other words, before the creation of time, space and all matter, the eternal Son was already there. When He was born, He added a human dimension to His existence (“became flesh”), but He did not cease to be the eternal Son. As it says, Jesus – the same, yesterday, today, and forever. Christians do not confess a belief in three gods, but in only one God. They hold to the word in the Old Testament that exclaims “The Lord our God, the Lord is One!” (Deu 6:4). Jesus and His followers also demonstrated an adherence tothis belief (Mark 12:29, , 1 Cor 8:4, 6). So any true Christian must believe in only one God, the Creator and Sustainer of all things. What is at issue is whether there can be any plurality of persons in this unity of nature. Christians were led to the complex truth of the Trinity by several key factors. First, by the fact there can only be one God. Second, by the fact that Jesus claimed to be God, and validated His claim by performing numerous miracles – finally rising from the dead. He clearly claimed to be God, and did the works of God, although He was not the same as the one He addressed – the Father. Third, the Spirit was also God by associating with the Father in the act of creation (see Gen 1). He is also called God in numerous places (see above). Characteristic of God, the Spirit possesses the characteristics of omnipresence (is everywhere – PS 139:7-12) and omniscience (is all knowing – 1 Cor 2:10-11). He is also involved with the other members of the Godhead in the work of redemption (John 3:5-6), and is associated with the other members of the Trinity under the one “name” of God (see Matt 28:18-20). Thus Christians were undeniably led to the conviction that there was one God, but that the one God existed in three persons – Father, Son and Spirit. But the Word Trinity is Not Recorded in the Bible! It is indisputable that both the Old and New Testaments affirm that there is only ONE God – not multiple Gods. Yaweh (YHVH), insists that He is the one and only Creator, Savior, Redeemer, and Giver of Life. And yet, there are also numerous instances of the One God being referred to as Father, Son and Spirit throughout the Old and New Testaments (see above for examples). All three of these entities have the characteristics of “persons” – they think, act, make judgments, speak, direct, love, are grieved, etc. Jesus claimed to be God come in the flesh (“and the Word was made flesh, and dwelt among us”) – the second person of the Godhead. The fact that He died as the prophets had foretold, and rose, again, validated His claim. It is also clear from the evidence that the early Christian Church believed in and taught the doctrine of the Trinity. This is evident from an inspection of the New Testament writings, as well as a review of the writings of the early church fathers. Furthermore, the early church “creeds” – the Apostles Creed, the Nicene Creed, and others, all emphasize that Christians believe in one God, manifested in three persons – Father, Son and Holy Spirit. Simply put, because that is what the Bible teaches, and that is who our Lord is. Our God is one God, but three persons – the Father, Son and Holy Spirit – in absolute unity from all eternity. And God loves you – so much that He, in the fullness of time, became a man like one of us, led a perfect, sinless like, and paid the penalty for our sins by giving His life in exchange for ours. He returned to His Father, but left us with His Holy Spirit to dwell in every believer, unifying us, guiding us, and teaching us all things. Do You Know the Lord? If Not, Give Your Heart to Him! Why not give Him a chance and let Him prove Himself to you! Say a simple prayer and mean it – ask Him, if He is who He claims to be, to come into your lifeand make you the person you were meant to be. He created you, after all, so why not give Him a chance to give you the best He has to offer? “I Don’t Have Enough Faith to be an Atheist”, Norman L. Geisler, Frank Turek. Crossway. The Bible, New King James Version. Thank you for this very special article! We have some neighbors who need to know this. God bless you and keep you. IAM REALLY BLESSED BY THIS GREAT WORK, I PRAY GOD TO BLESS AND KEEP YOU FOR GREATER WORK THAN THIS. THANK YOU. What a awesome teaching on the Trinity. A great reference to use when sharing the Word! Especially to those who say they are Christians but don’t beleive in the Tri-unity of the Father, Son, and Holy Spirit such as the Jehova Witness. Thank you for putting this teaching together. I will definately be sharing it! Great info, but you have a lot of typos to fix, especially in scripture quotations. I’d love to share this post with a skeptical friend of mine, but his skepticism will only be reinforced by the typos in your post. Accuracy matters, especially when quoting scripture! Otherwise, you appear to not know what you’re talking about. Hi Chris. Thanks for your comments. I should go through and correct any typos. I’ll make a note of it. May our Lord bless you. I was wondering if I could save this article to my hard drive? Father forgive sins of the world through his Son Jesus and will judge the world by his Holy Spirit the Christ because they are three in one and are together from the beginning they are in agreement all the time see Matthew 12:30-32 / 23:8-10 / 28:19, etc. The reference to 2 Peter 1:1 should have the word ‘righteousness’ rather than ‘righteous’ if I am not mistaken. Thank you for the work you put in here. It’s been very helpful having all this information in one place.